Some highlights from Day 4 of New York Fashion Week - Spring/Summer collections 2015. If there's one Spring/Summer collection you need to head over and check out in full, it's this one by Diane Von Furstenberg. Bright bold colours, amazing prints and a reappearance by gingham for the new season. Check out the full collection here. Christian Siriano this year has produced a lovely collection, I remember his when he was on Project Runway all that time ago and so it's amazing to see him doing so well in the fashion world and producing brilliant collections like this. This collection featured some brilliant embellishment detailing with added an extra dimension and detail to the collection. The fabrics were a range of satins, lace as well as lightweight and heavier fabrics. The range of fabrics held to create a nice versatile and varied collection. Overall, it was a brilliant collection with a great mix of pieces, fabrics, and designs. 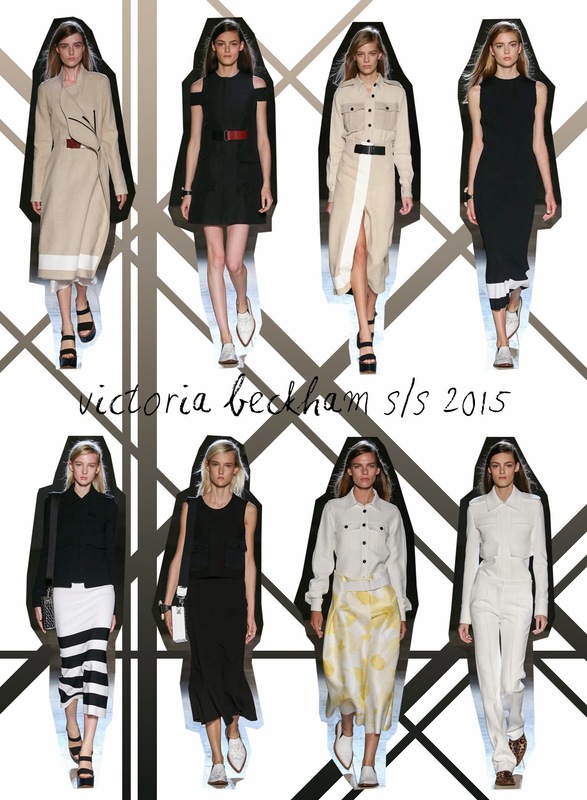 I really love the seeing each collection by Victoria Beckham. It's great to see what she produces each season. I think that she creates beautifully simple pieces with a range of mix and match basic designs. This season around it felt like this collection almost had a slight military and more formal edge to it. The full button shirts, collar detailing and cuts of the coats seemed partially influenced by uniform. After seeing this collection, and no doubt definitely after seeing the Burberry collection next week, a trench coach/camel coat has now been added to my wishlist. 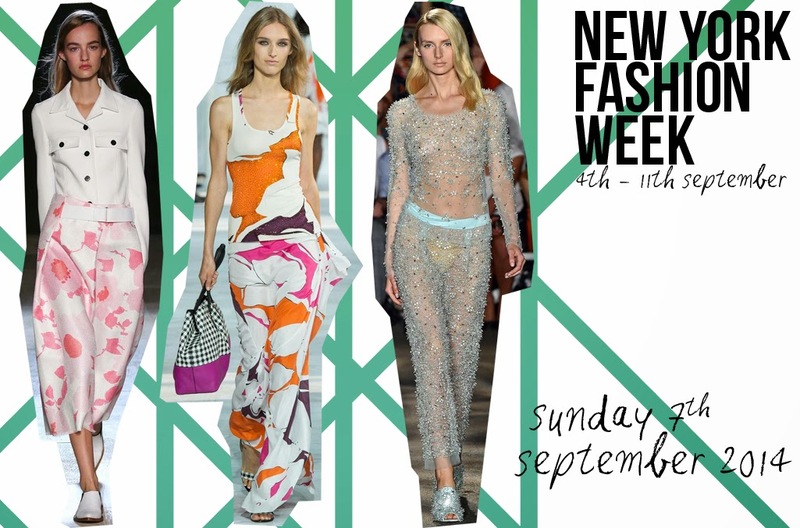 So many lovely pieces have shown already at New York Fashion Week and we're only on day 4! Halfway through this week and I now have a HUGE list of pieces I want in my wardrobe and inspiration for the new season. I can't wait to see not only what the rest of this week brings, but also what the remaining cities of the "Big Four" has in store as well. I hope you enjoyed this post let me know your thoughts below. If you've seen any of the NFYW coverage or any of the collections I'd love to know. You can watch a number of them live here as well as checking out the whole collections and more thorough reviews on the Style.com website.